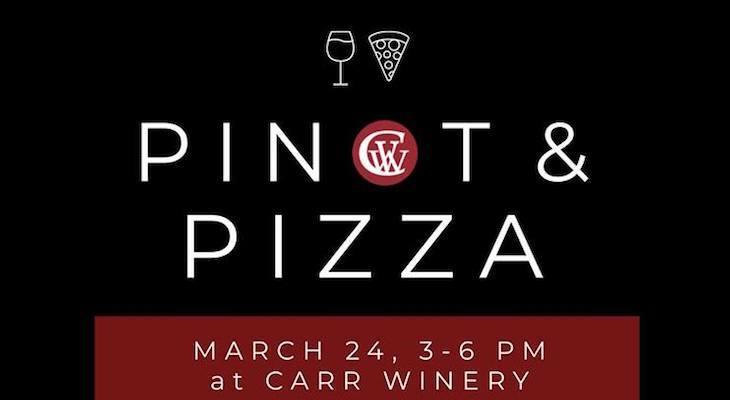 The day is here... we're uncorking the highly-anticipated 2017 Pinot Noir releases, firing up the pizza ovens with Lucca Truck, and throwing out all the stops for our Pinot & Pizza Party — an unmissable kickoff to spring, sunshine, and the latest Carr wine! Enjoy live music by Key Party while tasting through the lineup of our debut Pinot Noirs, newly-bottled this month. Free admission and open to non-club members — so bring a friend (or 4)!